PUNTA GORDA TOWN, Mon. Mar. 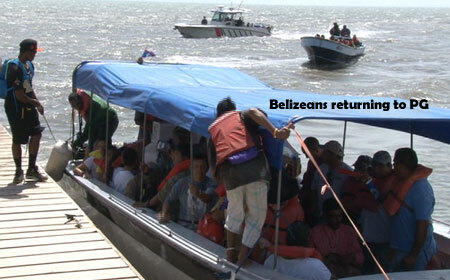 2, 2015–What started out as a patriotic excursion to demarcate Belize’s southernmost border point evolved into a disconcerting experience for forty Belizeans who were all detained by Guatemalan military officials between the hours of 2:00 p.m. and 4:00 p.m. last Saturday, February 28. The unsettling encounter occurred after the group, who are part of the Northern Territorial Volunteers (NTV) from the Orange Walk District, had embarked on an expedition to place a brass plaque with the name “Belize” at the Gracias A Dios border marker, a site that is accessible via the Sarstoon River, which forms a natural southern boundary between Belize and Guatemala. The group of bold nationalists – including 37 Northern Territorial Volunteers (which is comprised of individuals, including women, ranging from 14 to 81 years of age, and included 4 students and several teachers), 2 crew members, and an employee of PGTV – was about midway through their return trip when they were intercepted by heavily armed Guatemalan military personnel who informed them that for about 5 to 10 minutes during their journey, they had made an incursion into Guatemalan territory. 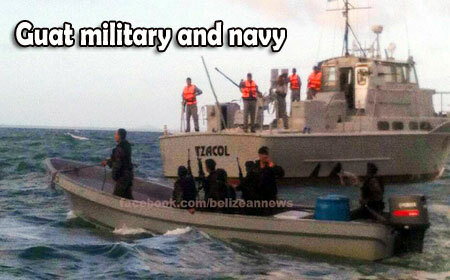 The entire boatload of Belizean nationals was then detained, reportedly in Belizean waters, by the military officials, who tied their 36-foot boat to a smaller Guatemalan vessel (which was being utilized by the soldiers) and hauled them off to a larger military vessel, which was parked out at sea in Guatemalan waters, with the intent to take them to a nearby Guatemalan military outpost. That task, however, would prove to be impractical on account of rough sea conditions which prevented the transfer of the detainees onto the bigger boat. As a result, their names were reportedly recorded and they were subsequently released from custody. By that time, though, nightfall was imminent and the sea conditions had gotten worse, and since a number of the BTVs had reservations about traveling all the way back to Punta Gorda in the dangerous waters, the Belizeans were escorted, using the power of their own vessel, by the Guatemalan officials to Livingston, Izabal – a small coastal village located at the mouth of the Río Dulce at the Gulf of Honduras in eastern Guatemala in order to seek refuge until the sea conditions improved. After an unexpected overnight stay in that small community, their ordeal finally ended yesterday, Sunday, when the besieged, but spirited Belizean nationals arrived back in Punta Gorda, escorted this time by Belize Coast Guard personnel, at around 11:00 a.m., to a heroes’ welcome from a small crowd of their fellow countrymen/women who cheered, while some vigorously waved Belizean flags on shore. Immediately upon their arrival at the pier at the Customs/Immigration wharf, Belize’s southern port-of-entry, a touching rendition of the Belizean National Anthem commenced, which soon segued into a recital of the National Prayer. Shortly thereafter, we spoke to Antonio De La Fuente, one of the leaders of the Northern Territorial Volunteers, an activist group that holds regular flag-raising and demarcation ceremonies at strategic points on the Adjacency Zone between Belize and Guatemala. He gave us a firsthand account of the unnerving sequence of events. “Upon exiting the Sarstoon River, the Guatemalan military approached our boat, ordered us to stop, threw a rope onto our boat, and then towed us about half mile out to sea, where they had a larger vessel that was awaiting us. Due to the size of the waves and the weather, they could not make a transfer, so we steamed on our own power to Livingston, where we spent the night [having already been freed],” he recounted. “This morning, Sunday, we had some negotiations with the Commandant of Livingston, and we were released. There was absolutely no charge for the group; however, the captain had to sign a document stating that he had accidentally entered a creek for the distance of 100 yards and a time of approximately five minutes”, De La Fuente continued. De La Fuente mentioned that there are many creeks and tributaries throughout the river, and that they had indeed gone down one of those channels while on their journey, but added that as soon as they realized that they were going the wrong route, they turned back. A copy of the said document, which was signed by boat captain Guillermo “Memo” Avila, a native of Punta Gorda, outlined the Guatemalan military’s version of the events, apparently in an attempt to justify their officers’ actions. That, however, is no appeasement for the passengers, most of whom believe that they were subjected to unfair and unnecessary treatment at the hands of the Guatemalan forces. 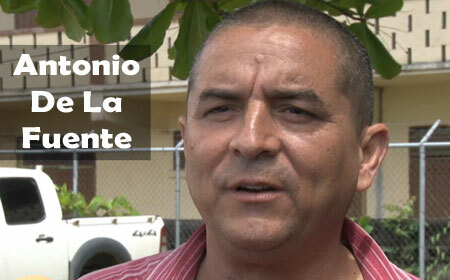 “They had no right to detain us”, said De La Fuente’s daughter, who was also on the trip. “I’m just glad we are finally back home”, said a teacher from Orange Walk who described it as an “unpleasant experience”, but was thankful that none of them were hurt during the ordeal. Reliable reports we have received suggest that during the seizure of the Belizean vessel, one of the Guatemalan soldiers inquired if Wil Maheia, a well-known political activist and leader of the Punta Gorda-based Belize Territorial Volunteers (BTV), a similar activist group which normally engages in the same type of border excursions, was also on board the vessel. After a 7-hour trip back to Orange Walk Town late yesterday evening, the group was met at the Orange Walk Toll Bridge by relatives, friends and other supporters, after which they were taken via motorcade through the principal streets of Orange Walk, and later welcomed at an official ceremony at the Orange Walk Town Hall. After arriving back home, an undeterred Giovanni de la Fuente said, “We feel we were kidnapped, [but] we are not intimidated”, implying that the Territorial Volunteers will not be daunted by the experience, and will persist in its efforts to install and maintain border indicators in and around the disputed boundaries between Belize and Guatemala, because the Belizean government refuses to do so. The incident has caused much consternation among sectors of the Belizean public, who are upset about the way in which the situation has played out, and are demanding answers from their government. Chief Executive Officer in the Ministry of National Security, Col. (Ret’d), George Lovell, who indicated that there are a number of concerns the Belizean authorities will have to address with their Guatemalan counterparts, spoke to us about the justification behind the detention of the Belizeans –reportedly within Belizean waters – who were subsequently taken all the way to Guatemala, even if indeed an infraction had been committed on the part of the Belizean vessel. Lovell told us that they have since spoken with their Guatemalan counterparts “to gather facts and deal with it in a very responsible way”. 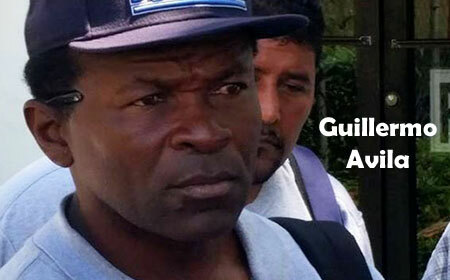 Captain Avila’s attorney, Audrey Matura-Shepherd, who also played a part in facilitating the return of the Belizeans, has argued that Avila was forced to sign the document under duress, and that he should not have been forced to sign such a document without the presence of an ambassador from his home country. It is noteworthy that on the NTV excursion at the time was Belize’s Chargé d’ affaires to Cuba, Efrain Novelo who – while not on official duty – was able to assist during the moment that the BTVs had to fend for themselves in Livingston to find accommodations late Saturday night. Belize’s Ambassador to Guatemala, His Excellency Alexis Rosado, arrived in Livingston shortly before 9:00 a.m. yesterday, and he accompanied the BTVs to Belize in one of the two vessels that transported them back into our territorial waters along the Sarstoon River, after which they were escorted by Belize military and Coast Guard personnel to Punta Gorda. When we interviewed Rosado regarding his sentiments about the incident, seeing that it comes on the heels of 13 bilateral agreements that were recently signed between Belize and Guatemala in mid-December 2014, his response was that while they were not exactly surprised, they are very disappointed in the way the incident transpired. So how quickly and aggressively will Belizean authorities be trying to get to the bottom of the issue to find out whether the Belizeans were indeed guilty of committing any actual infraction against the Guatemalans, especially since they were reportedly intercepted by Guatemalan military officials who were in Belizean waters? According to Rosado, protocol must be followed, but at the end of the day, the objective is to ensure that something of that nature does not happen again. “First of all, we have to establish the facts, and then there is a joint verification that ought to take place, which I think, is already on stream. The Foreign Ministry [of Belize] had already requested something like that, so there is a protocol to follow, but the important thing is that we get to the bottom of it all and ensure that it doesn’t happen again”, he cited. Rosado noted that they will have to “get the ball rolling” in terms of the involvement of the Organization of American States (OAS), which acts as the mediator in the Belize-Guatemala territorial differendum, as well as establishing the chain of events from both sides. At this time, there are certainly many questions and concerns that remain regarding this latest episode of the unending Belize-Guatemala territorial dispute, and so far, there has not yet been any official statement issued by the Guatemalan government regarding the incident. CEO Lovell yesterday informed us that there should be a press conference staged by the Government of Belize sometime this week to answer queries that remain unaddressed, as well as to outline a strategy going forward to manage such contingencies which tend to arise as a part of Guatemala’s long-standing, unfounded territorial claim to Belize.